The tiny islet of Riddarholmen, home to a 13th-century church full of entombed Swedish royalty, is an oasis of dead calm in cosmopolitan Stockholm, an odd place to witness the relaunch of an international phenomenon. 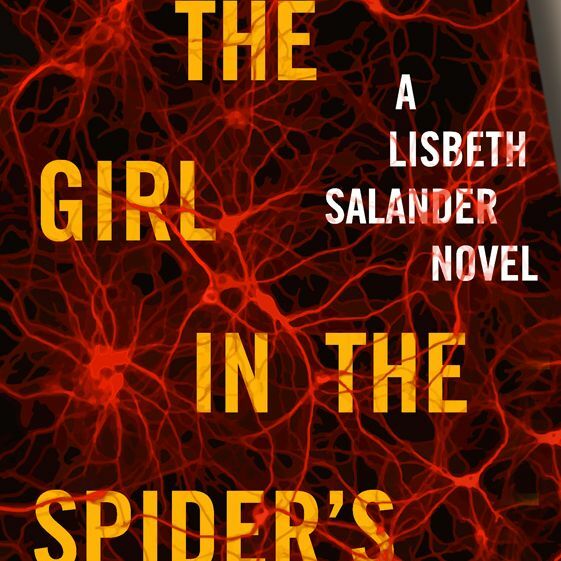 But it happens to host the headquarters of Norstedts, the publisher of Stieg Larsson’s Millennium trilogy (80 million copies strong) and its new sequel, known Stateside as The Girl in the Spider’s Web, written posthumously by a different writer, David Lagercrantz. It’s also been ten years since Larsson died of a heart attack at age 50, soon after signing his book contract, leaving his estate by default to his distant father and brother, and excluding — by law — his partner of 32 years, Eva Gabrielsson, who has fought the family ever since. It seems on the surface an all-too-familiar conflict — a fight for the right to print money off the name of the deceased — but the real quarry is capital of the intellectual kind. It’s a public argument over who has the knowledge, acumen, and integrity to manage a famous author’s estate — not to mention the characters, plotlines, and political messages that run through Larsson’s darkly moralistic books. You wouldn’t hear anything at the presser about that unhealed family rift or the new debate still roiling the media in a country where Larsson’s books have become something more than pulp best-sellers: Is bringing a new writer in on book four the right way to handle the legacy of a writer whose work is arguably Sweden’s most significant cultural export since Ikea? The new novel chronologically follows book three, the last one Larsson wrote, and most of its characters are Stieg’s, but its plot, language, and new characters are all Lagercrantz. This time around, the battle-weary Gabrielsson — who tried for years to negotiate with the Larssons (though she had no legal claim) and wrote a polemic memoir about their life together (“He treated his father and brother as if they were his foster family”) — was hardly alone. Two of Larsson’s childhood friends sent a letter to a newspaper calling the project “grave-robbery”; writers have chimed in to say they’d never do what Lagercrantz did, and would draft their wills more carefully. To be fair, Gedin and Larsson’s heirs — father Erland and brother Joakim — addressed the issue openly with me on Wednesday, though not as openly as Gabrielsson, who avoided Riddarholmen but met me downtown the same day to go one more round. As in most long-festering family squabbles, each side has at least one strong moral claim. Gabrielsson has the legitimate grievance of living in a progressive country that, curiously, has no legal protections for common-law spouses — meaning that despite the clear fact that she was the closest person to Larsson at the end of his life, she has no control over what happens to his work, or his name, after his death. No one disagrees that it’s unjust — not even Joakim, who, weirdly, or perhaps facetiously, recommended in a documentary that Gabrielsson marry Stieg’s father to remedy the situation (if he meant it earnestly, he never honored the sentiment by giving over any control). Gabrielsson has one answer: “They would not compromise,” she says. “They wanted to tie me up and shut me up.” Their offer of a place on a three-person board, she says, came with the condition that she never disparage the family publicly. She believes that had she been Stieg’s executor, she would have more aggressively defended the integrity of his books — a position that might have limited his posthumous reach and perhaps the marketability of his name. Gedin wore a cantilevered hairdo and a loosely chic navy-on-black ensemble, while Lagercrantz was buttoned into a tight blue suit, open-necked dress shirt, and pocket square. But he was the stage’s jittery spark plug, the one who used the word passion a dozen times in as many minutes. He began by comparing the success of his Ibrahimović biography to Larsson’s and went on to compare Larsson to Dostoyevsky. “I’m not saying I’m Blomkvist,” he said, referring to Larsson’s crusading journalist alter ego. “But I’m at least dreaming of being Mikael Blomkvist: a nice guy with great values, nice and correct, and a passion for the story.” When he came up with a framework involving the NSA and an 8-year-old autistic boy, “BANG BANG BANG — I had words!” And when Gedin responded to his synopsis by calling it “so damn good,” he felt “like Ibrahimović scoring. YEAH!” But he was also terrified, he said. “I used to say I was bipolar at the time” — both elated and racked by nightmares that Salander would take revenge if he didn’t do right by her.